J-Pod and the K-12 family traveling north with an 8’+ flooding tide! 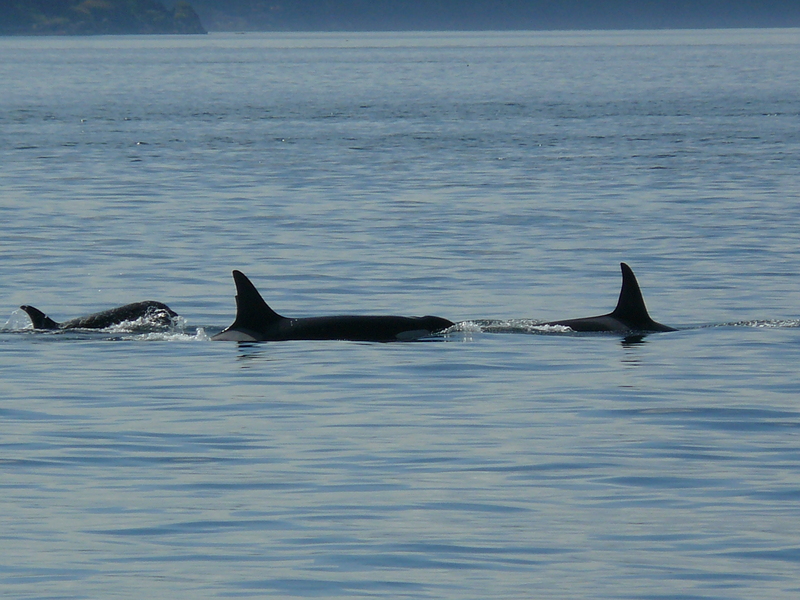 From about 3pm to 4:15pm, they were spread out in 6 groups, then came together in 3 groups out in Haro Strait, with a trailing group near the shore of Stuart Island. Lots of tail lobbing- fluke slapping going on in the strait! Fishing? A few breaches, spy hops, pectoral fin slaps, then rolling over each other and socializing! 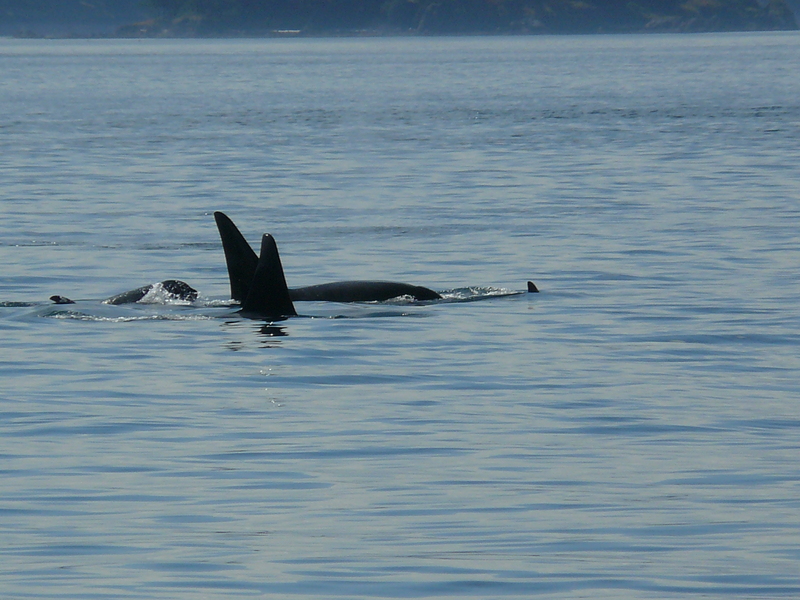 ID’d the males; J-30 Riptide, J-26 Mike, and J-27 Blackberry. Wonderful to see J-2 Granny with her family, in the lead, looking like she decided they were heading to the shortcut of Active Pass, to Georgia Strait. The sun came out, glistening on the whales and Harbor Seals with pups on Spieden Island!